In the Carso, you’ve really, really got to want to make wine, because producing just a single bottle takes patience, tenacity and an enormous amount of effort. This rocky corner of Friuli, by the Gulf of Trieste, is riddled with collapsed underground grottos and very little topsoil in which to plant vines. But the red soil in these grottos is rich in minerals. The rocks are made from calcium-rich limestone (or Karst), which provides good drainage but also retains moisture – great for growing healthy vines. And the maritime climate benefits from three different winds during the day, meaning grapes dry quickly if there is any rain – which both reduces incidences of disease and stops the grapes from ripening too quickly in the hot sun. “We do all this work because the potential for quality is so great,” explained Goran Kante, nephew of producer Edi Kante, the man credited with turning the Carso into an area producing high-calibre wine. Goran told us how, before planting any vines in the 1980s, they had to remove old vegetation and cut into the rocks to remove old roots. They then levelled the ground with several metres of terra gialla (yellow soil) from nearby Trieste, which is cheap, easy to find and retains moisture. 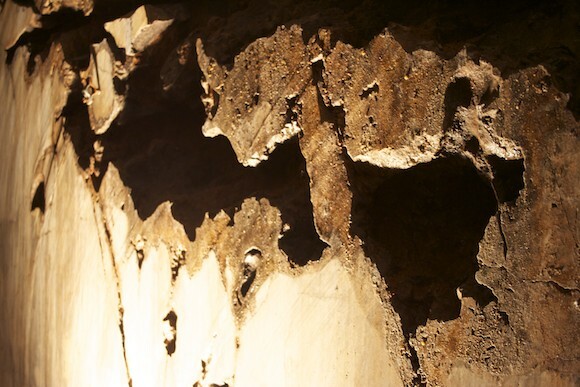 Finally, they had to buy and then excavate a collapsed grotto for the top layer of nutritious terra rossa. Not so cheap, I imagine. 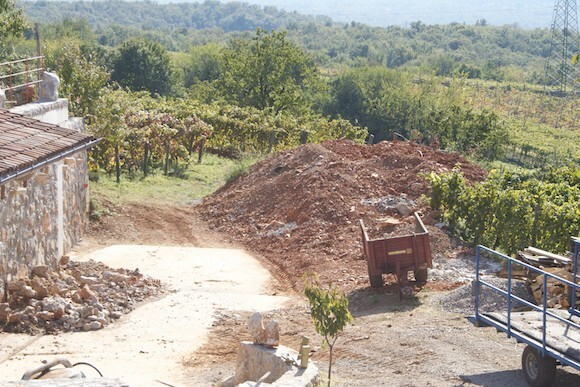 For each 100 hectares of vineyard, they needed 1000 trucks of soil. However, that wasn’t the hardest bit. Before they could drill a centimetre of rock, they had to wrangle with Italian bureaucracy – a “five to six year-long headache” – to get the correct paperwork. As a result of all this effort, Kante (like other Carso producers) has a comparatively small vineyard but the density of vines planted is high – 8,500 plants per hectare. According to Goran, this is double the amount you’ll find in the flat parts of Friuli. “We have to squeeze out every single metre to get the quantity out of what we do,” he added. To maintain the quality, and get lots of flavour into the grapes, they keep the numbers of bunches grown on the vines low, around half a kilo. As a general rule of thumb, one kilo makes a 750ml bottle, though this depends on vineyard techniques. Unlike a number of neighbouring producers, they will intervene with synthetic sprays where absolutely necessary. 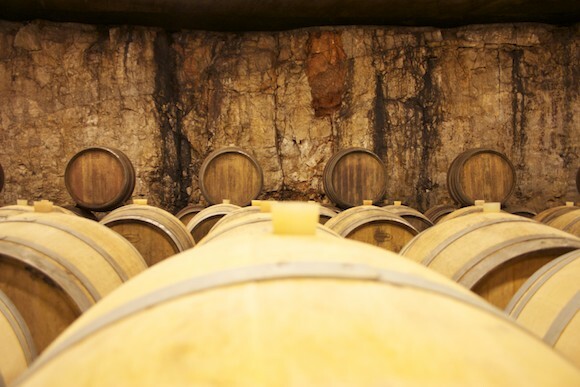 But their aim is sustainability, not to be certified organic, and they’ve made the most of what the land gives them by excavating the rock below into a three-storey wine cellar where they ferment and age the wines. So, what of the wines? While they make a decent sparking wine (KK Spumante NV), I think it is the still whites where they shine. The 2009 Vitovska (an indigenous grape) was vibrant, pithy and herby and cried out for local seafood. The 2009 Malvasia (made from the local Istriana variety) was blossomy and slightly nutty, with gently rounded edges and brisk acidity. But the star was an elegant, slightly spicy, fresh but weighty 2001 La Bora di Kante Chardonnay, named after one of the three winds that daily blow through the Carso. Later, at lunch, we tried the 1991 Terranum, made from the Terrano grape – related to Refosco, a popular Friulian red grape. It had a fresh berry taste, but the acid was dominant, suggesting that the intervening 20 years hadn’t done this wine many favours. On the plus side, it was only 10.5% alcohol by volume, rare for a red wine. It would’ve been interesting to try a much younger version. Despite the chequered history, the winemakers here share a united belief. That the wines they produce are made in the vineyard, not in the winery itself. However, there are some philosophical differences to how much man should intervene in the vineyard – and whether the final wine is fined and filtered or bottled straight from the tank or barrel. Sandi Skerk is a proponent of the latter, making wines as naturally as possible. 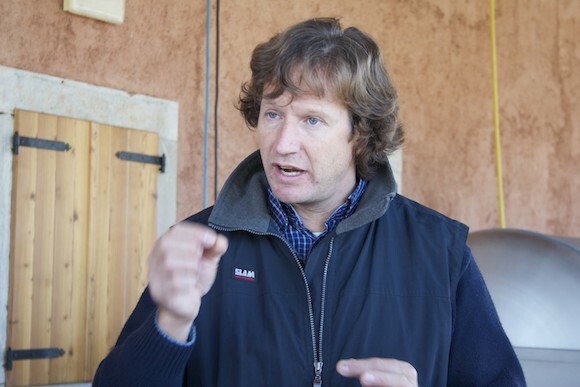 Head of the consortium of Carso winemakers, his vineyard is a few streets away from Kante, in the village of Prepotto. He spins a similarly enticing story as Goran Kante about the soil, the rocks, the winds and the density of vine planting, though we spend quite a lot of time in his vineyard discussing his use of copper and sulphur to control diseases and looking at his albarello (little tree) vine training system, which produces smaller grapes in fewer bunches. Sandi believes the best bit of the wine is in the skin, and this training method results in grapes with a higher percentage of skin to pulp. While he also believes most of the work is done in the vineyard, it’s the cellar that captures my interest. It too has been carved out of rocks, and you can see crevices running along the wall made by left by vine roots from the past. We taste the Skerk Vitovska and Malvasia straight from the barrel, while they are still fermenting on their skins (usually, only red wine is fermented on skins for tannins and colour). We also try some bronze coloured Pinot Grigio – the colour coming from the skins of this red-skinned grape. This is destined for his blended white called Ograde, which also includes Vitovska, Malvasia, Sauvignon Blanc. Finally, we try some Malvasia, which has been moved from barrel to tank. Fruity, floral with a broad nutty note, this actually tasted of – well – wine. 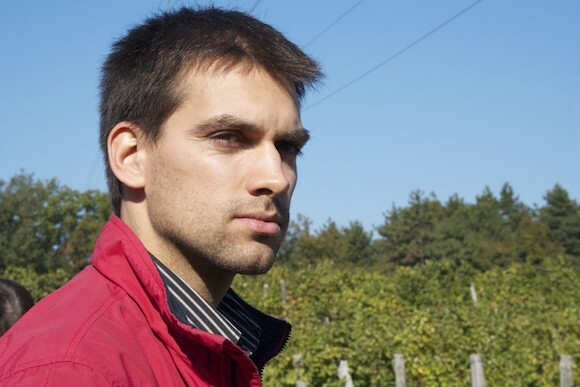 I am not the biggest fan of natural wine, you see – especially whites. It’s not the cloudy urine look I mind, it’s the instability of it. What tastes good in a tank may taste like cider out of a bottle some months later. We put that to the test later at lunch, held at the winery of Benjamin Zidarich, another producer of natural wines – and just a stroll from Skerk. Sitting in a room above his winery and underground cellar, with a crackling open fire and sea views in the distance, we tasted several wines from the cantine we’d visited that morning including the yellow peach, orange zest and mineral-tasting Skerk 2009 Ograde. I also liked Zidarich’s 2009 Prulke, a blend of Malvasia Istriana, Vitovska and Sauvignon with its intriguing flavours of oranges, quince, spice and little shards of grapefruit poking through. It was Zindarich’s 2009 Malvasia though that really won me over – like fresh blossom being rippled by a cooling sea breeze. Just drinking it made me feel alive. Perhaps it was the sunny, crisp autumn day in the tranquillity of Prepotto. Perhaps it was the winemakers’ stories, and their uncompromising drive to make wine with a unique sense of place. Perhaps it was the wines themselves. Whatever the cause, one thing’s for sure. By the end of my visit, like a love-struck teenager, I totally fell for the Carso. End note: I visited the Carso with a number of other wine bloggers who attended this year’s European Wine Bloggers Conference (EWBC). Here’s another account of our visit to the Carso, from Simon Woolf. 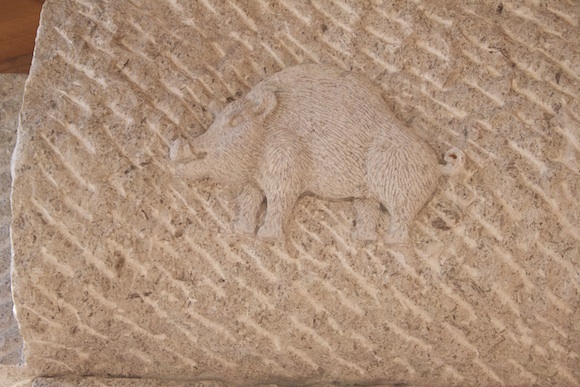 This post so makes me want to visit Friuli to check out the Carso. Love struck is certainly how I feel. Thanks for this and great meeting you. Great piece Paola, love the detailed approach. And good heavens. We agree about something (the ’91 Terranum). I enjoy your post Paola, great work, very well done! 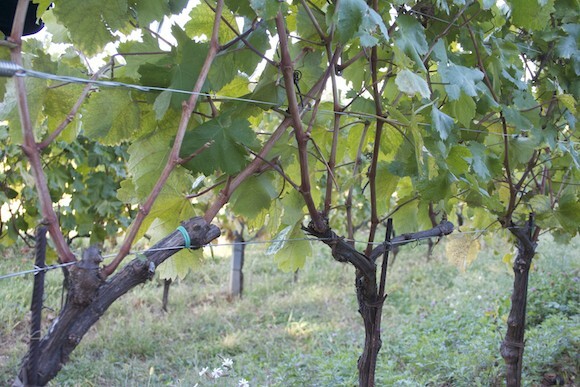 Thanks for this neat and interesting piece about a previously unknown wine region of Italy. A hidden gem – I love discovering them!